Safety- Working knowledge of OSHA requirements. Ability to recognize and correct hazards to maintain a safe work environment. OSHA 10 preferred. Schedule- Able to develop and coordinate detailed schedules within the project schedule, communicate schedules with subcontractors, monitor progress, and maintain progress to keep the work on track. Understanding of Microsoft Project preferred. Quality Control- Coordinate inspections with City of Portland, Special Inspections, and various Third Party Owner Consultants, as required. Review work as it is installed to prevent rework. Subcontractor Relations- Must maintain develop and maintain good relationships with subcontractors to deliver a quality product, on time, and within budget. Documentation- Full understanding of the RFI process. Assist in posting plan changes. Assist in review of shop drawings. Recognize issues with drawings and work to remedy issues. Maintain consistent personal notes and Daily Logs. Must have strong computer skills with, at a minimum, a working knowledge of Microsoft Office (Word, Excel, Project, and Outlook) and proficiency in sending and responding to emails. 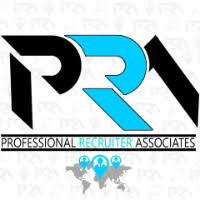 For immediate consideration, please forward a copy of your current resume to info@profrecruiters.com referencing job #1778 or a link to this job.